3D printing a functional prototype is one of the most critical steps in the development of any product or solution. It allows for testing, hands-on fit and finish testing and the ability to make design iterations on the fly before the final product is made. It allows for problems and defects to be found quickly, saving you both time and money. Plus, prototyping can be done in 5 easy steps. There are many different additive manufacturing technologies you can use depending on the type of prototype you want to make. For purposes of this article we are going to focus on Fused Deposition Modeling (FDM) technology, since that is the typical technology used for function over realism. The first step in the prototyping process is to design the piece. SOLIDWORKS allows users to create parts from the ground up. If the prototype is a member of a larger assembly, you can bring the entire assembly into the software to see how everything will fit together. We suggest designing the same part with slightly different features, so you can test an array of parameters at the same time. 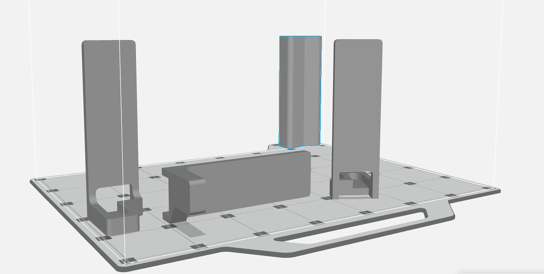 It's important not to worry too much about getting it right on the first attempt because you can take the models you have made and test them in a simulation environment and make changes before printing easily. The next step is taking those designs and testing them in SOLIDWORKS Simulation. 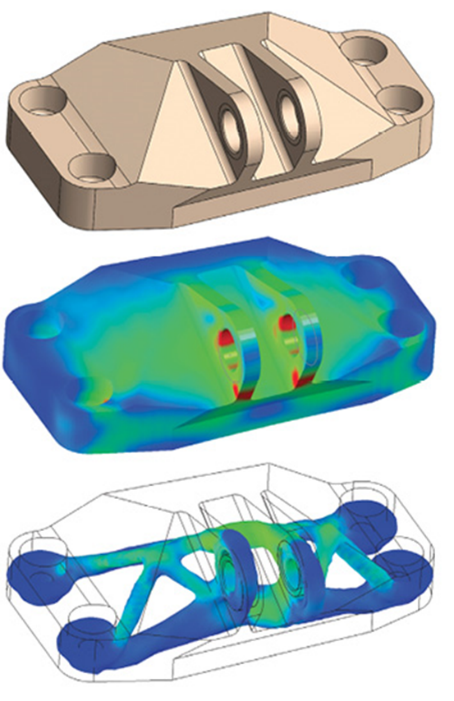 Simulation is a powerful tool that allows users to analyze their parts using a variety of parameters such as material types, speed, force and temperature. Once you specify the material type, physical loads and generate the mesh, Simulation will show a stress map and highlight key points of high stress. This will allow you to see potential points of failure before you 3D print. After you are satisfied with the design, it's time to prepare your part to be printed. GrabCAD Print works with a wide range of FDM printers and can import native SOLIDWORKS files, .STLs and a variety of other file types which helps save time converting and exporting files. Once the file is in GrabCAD, you can edit an assortment of things such as layer height, support structure and material type. Another big consideration you need to be aware of is part orientation. The three main considerations for part orientation are strength, surface finish and speed of print. The goal is to orient the part to fit the specific application’s needs. For example, you would not want to print an L-bracket standing up because it would take a long time to print and would not be as strong as one printed laying down. To prepare the printer, first make sure that you are using a clean build tray to ensure the part does not delaminate off the tray. Then make sure the printer is free from debris and that the purge bin is emptied. This is especially important because if you are printing in a high-temperature material (like ULTEM) and there are bits of ABS or ASA in the build chamber from a past project, they will melt and stick to the chamber and become very difficult to remove. Once the tray is loaded and build chamber cleaned, simply load the material for the job and start the print. The final step on the printing process is post-processing. 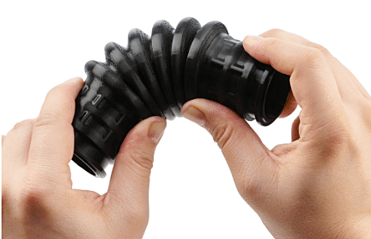 For most Stratasys FDM materials, soluble support is used which makes it very easy to post process. All you have to do is place the part in a wash and allow the support to dissolve. To make this process faster, you can remove some of the support by hand so that there is less that needs to be dissolved. If break way support was used, it must be removed by hand. To help this process, you can try to remove it while the part is still warm, and it should come off much easier. You can then test the prototype to see how well it works and what revisions may be needed, and then repeat the above steps. Prototyping is becoming a much more demanding aspect of the design process. At TriMech, we offer a variety of rapid prototyping services. From FDM to PolyJet and metal printing, we can develop a prototype to meet any application’s needs. We also offer engineering services if you need help designing or simulating your prototype. Ready to transfer your prototyping from your to-do list to ours? Request a quote today!